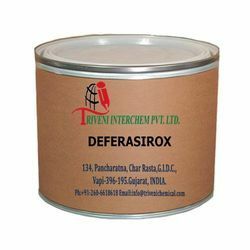 Leading Manufacturer of deferasirox from Vapi. Deferasirox (201530-41-8) Storage: Keep container tightly closed. Keep container in a cool, well-ventilated area. Looking for Chelating Agent API ?